Permanent teeth (or adult teeth) come after the set of primary teeth and are normally intended to remain in the mouth for the whole lifetime. 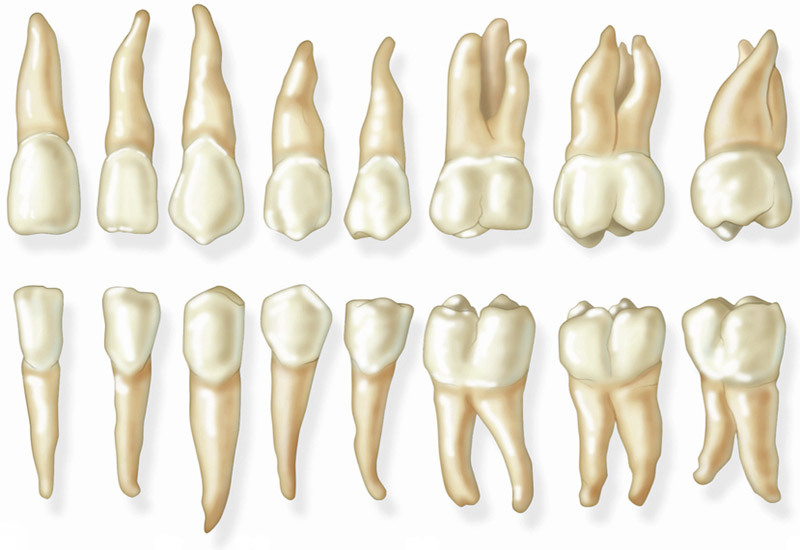 There are 32 adult teeth, including eight incisors, four canines, eight premolars and twelve molars (among which there are four wisdom teeth). 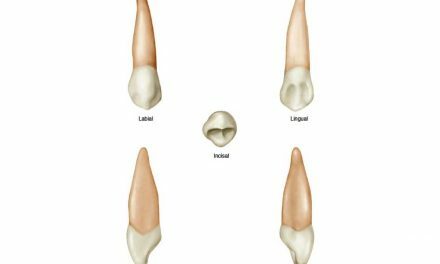 The premolars replace primary molars, while the adult molars appear in a posterior position in the dental arch, not replacing any primary teeth. 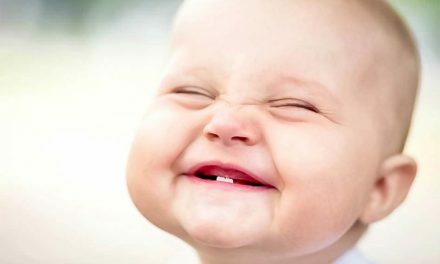 Adult teeth either replace baby teeth, or come into the mouth in newly created space from child growth. 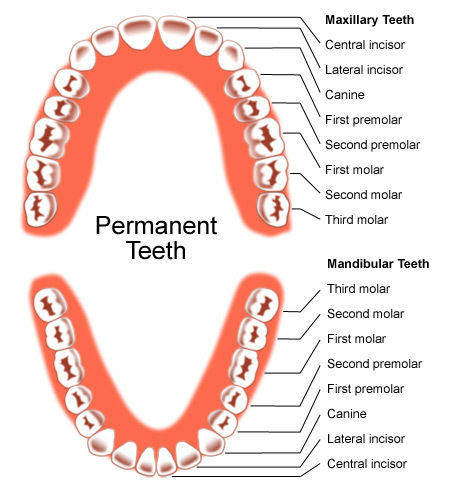 The first permanent teeth to erupt are usually first molars and they do not replace any baby teeth. The replacement of teeth begins around the age of 6 and happens in a gradual manner. The child is then in a mixed dentition, which means there are primary and permanent teeth in the mouth. Mixed dentition lasts several years. Around the age of 12, all adult teeth should have replaced primary teeth. 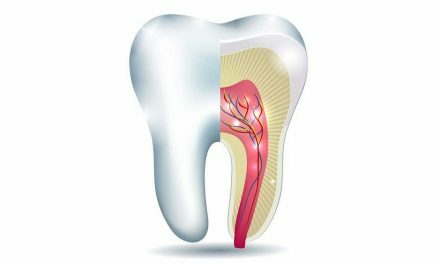 The third molars, or wisdom teeth, complete their development between the ages of 18 and 25 years, but they might never come out and stay impacted. The following chart shows the time when permanent teeth erupt. The eruption of a tooth can be antagonized by the lack of space, which creates dental crowding or malocclusion. This condition can be treated with orthodontics. Sometimes there is agenesis of one or more permanent teeth, which means that the tooth never develops. This happens particularly with wisdom teeth, but also sometimes with incisors or premolars. In some agenesis situations, the corresponding primary tooth does not fall and remains present in the mouth. On the opposite, sometimes a person can have extra teeth that we call supernumerary teeth. This condition is referred to the term hyperdontia. Those extra teeth sometimes need to be extracted if they bother the health of the usual set of teeth. Naudin C, Grumbach N, (Larousse Médical), 3ième édition, Paris, 2003. Marcovitch H (Black’s Medical Dictionary), 41st edition, London, 2005. Biology Discussion Forums (The name and shape of the adult teeth).